This is a pretty piece of flower clip art of red and pink roses. This flower illustration comes from a vintage postcard. 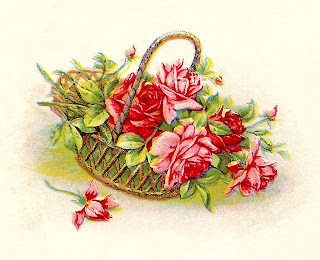 I love these images of flowers in baskets because they can be used to decorate almost any project. I hope you enjoy!